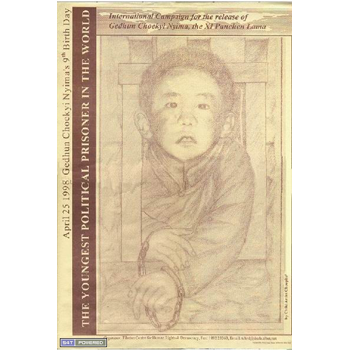 These two poems about the Panchen Lama by Woeser were written ten years apart. The original poems (written in Chinese) can be read here on her previous blog. 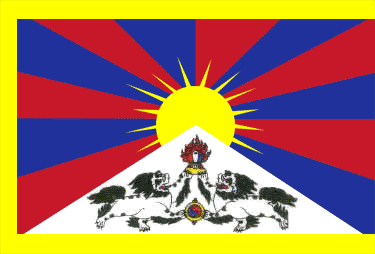 The translations of the two poems are taken from “Tibet’s True Heart“, copyright 2008 Ragged Banner Press and are used here by kind permission. Below is a short introduction by Woeser. One poem was written one day in December 1995. It was a day when I was working at my first position at the Tibet Autonomous Region Cultural Association when I received news about the new Panchen Lama being recognized, whereupon I immediately wrote this poem. One poem was written one day in October 2005 when I’d finished reading “The Search for the Panchen Lama” by a female British journalist. At which one are they trapped – he, and the other? To which do they aspire – he, and the other? They say: It’s to save our skin. In my mind’s eye I see.